Fall is here - the time of the year when people go crazy over everything pumpkin-flavored, including pumpkin spice lattes, pumpkin-flavored cereal and pumpkin pie. It's the perfect time to take advantage of your customers' seasonal cravings. Other than decorating for Halloween, how do you plan on differentiating your restaurant this fall? For starters, try introducing a new ingredient to your menu for National Pumpkin Day - celebrated on Friday, October 26th this year. 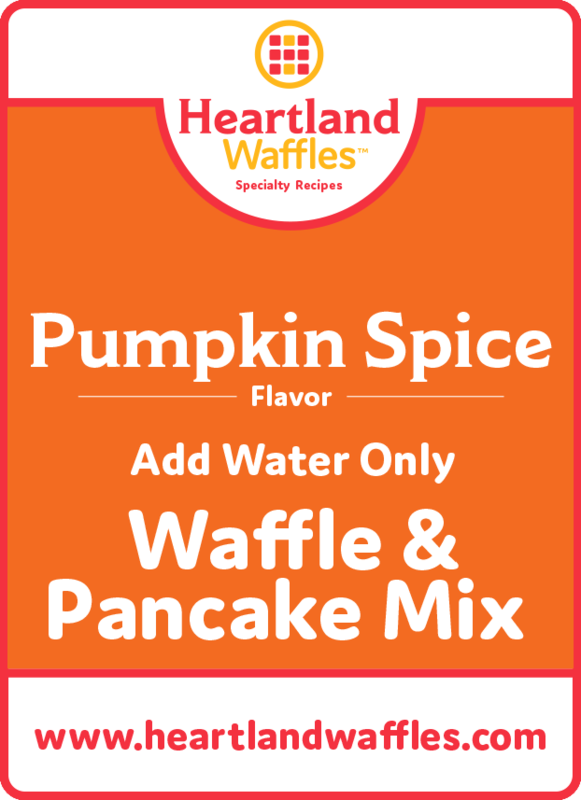 One of Heartland Waffles Specialty Recipes is our Pumpkin Spice Waffle & Pancake Mix - this easy-to-make mix only requires water. 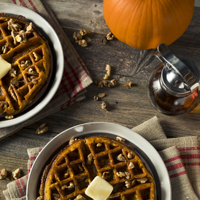 Serve up some of our pumpkin waffles and pancakes this fall, and top them with maple syrup, whipped cream and nuts. Your customers will love the care that goes into crafting a stand-out, seasonal recipe. Plus, they may even tell all of their friends and family about how impressive their dining experience was. According to "Fall menu trends: Pumpkin is a heavy favorite but it's not the season's only LTO," pumpkin isn't the only flavor of the season. Many stores hand-make their own unique dishes utilizing fall spices, such as Corner Bakery's Apple Walnut Pancakes. Their buttermilk pancakes are "topped with caramelized apples, cinnamon crunch streusel and toasted walnuts served with vanilla maple syrup and Applewood smoked bacon." Now that is a delicious fall meal that your customers can enjoy during breakfast, lunch or dinner. Whatever you choose to offer at your restaurant this season, remember to treat your guests to Heartland's Fresh-Baked Waffles and Pancakes. Contact us today at 1-866-572-0222 to get started. 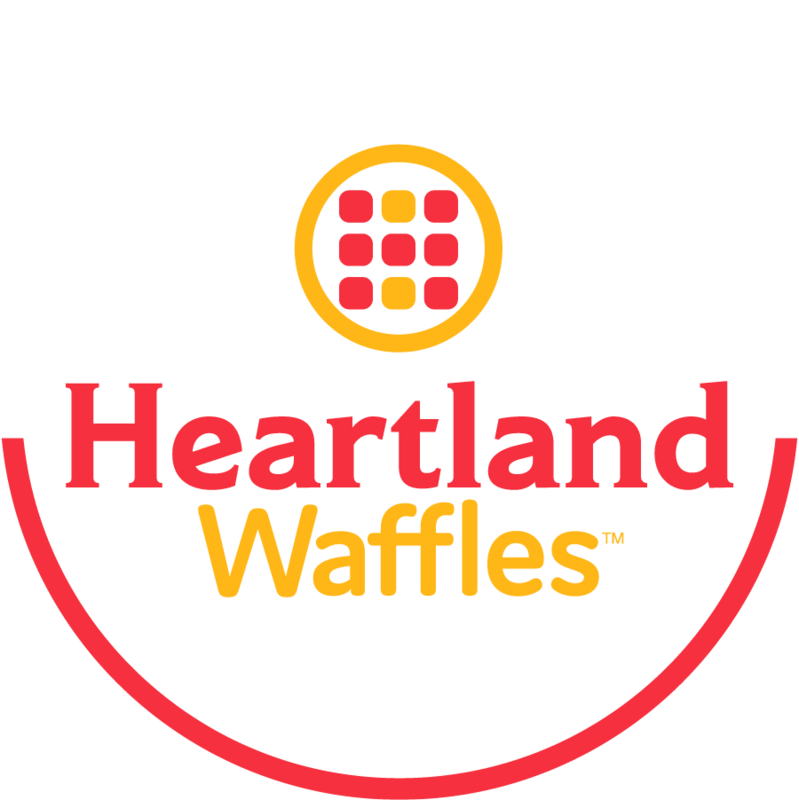 Heartland Waffles is committed to helping those in the food industry treat their guests to superior-quality waffles every day. 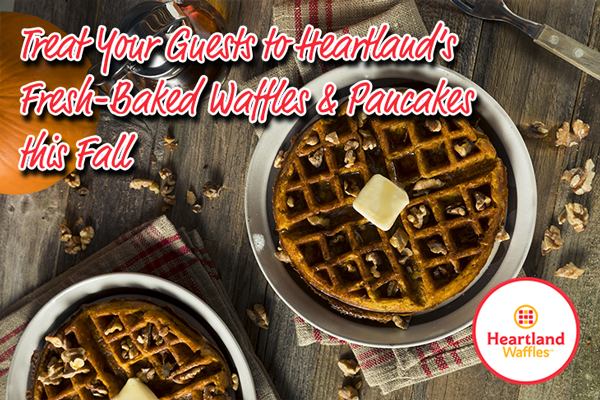 Share your favorite fall and winter cravings on our Facebook page or on Twitter @HeartlandWaffle.